Fairfield Grand Prix Luncheon! June 22! Too many of America's horses are in need of a lifeline and opportunities to thrive. Whether you are an individual or an organization, you can make a difference by joining our Equine Welfare Network! Partner with us to improve the way America's horses are treated and perceived. It takes a village! Help us raise awareness of the impact of horses in our lives. America's horses need our protection. Help safeguard their comfort and dignity throughout their lives. Today, the benefits of the horse-human bond have never been more apparent. Many more horses can be elevating the lives of people with and without special needs. Click here to DONATE to support the care of Harry! Harry arrived at ERAF as an owner surrender. On a scale of 1 to 5 with 1 being Calm and 5 being Spirited, Harry is a 3.00. Harry is a beautiful mini paint with a winning personality. He has appeared at ERAF events as well as nursing homes as an ERAF ambassador. He has great ground manners and trailer loads easily. He is wonderful with children and would be a terrific pasture pet or companion. 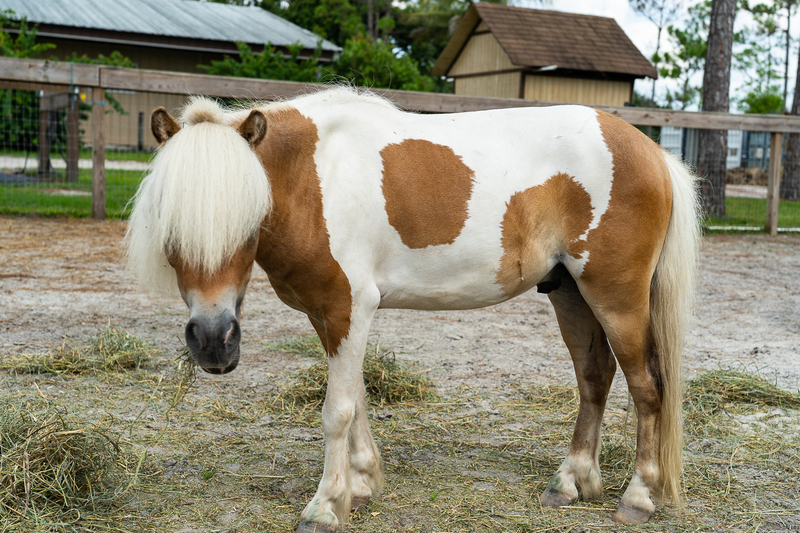 Harry is located at Equine Rescue and Adoption Foundation Barn, 6400 SW Martin Highway, Palm City, FL 34990. Horses have assigned stalls in the structure(s). Horses are stalled for 9-12 hours per day, on average. Many of our Adoptors will board with us for a period of time to become confident with the adopted horse. 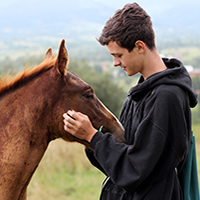 Our organization provides equine-assisted activities and/or therapies (EAAT) for individuals with special needs using certified instructors, specialists, therapists, counselors, trainers and/or facilitators. 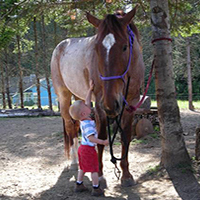 Our organization provides community outreach and/or public education programs involving horses. 100% of our total programs and services are horse-related. The Equine Rescue and Adoption Foundation, Inc. (ERAF) is a Not-For-Profit 501(c)3 organization devoted to the rescue, rehabilitation, re-education and adoption of abused, abandoned,neglected and slaughter-bound horses. We work closely with the Sheriff's Department and Animal Care and Control throughout South Florida. Our P3 Program pairs our Volunteers with a specific horse and on their volunteer days they are responsible for everything from mucking their stall or paddock, to grooming/bathing, and doing basic ground training so that they progress as fast as possible so that our Trainer can start working with them and getting then ready for adoption. We work with the Employ U group on Saturdays which is a non profit organization that helps the disabled on a career path. This is a free service for Autistic, Downs Syndrome and other adults with disabilities. In addition to learning basic chores, they spend time with the horses to gain confidence and other skills. On occasion, we work with Veterans groups and other groups with some form of equine assisted therapy. We have several horses that we use in these programs. Equine Assisted Activities and Therapies (EAAT): Any equine-assisted activity or therapy, mounted or ground-based, including but not limited to treatments that incorporate equine activities and/or the equine environment and/or experiential learning approaches that promote the development of life skills for educational, professional and personal goals through equine-assisted activities. 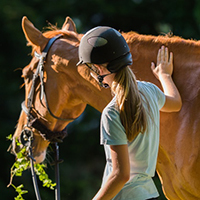 Equine assisted activities include but are not limited to therapeutic riding, therapeutic driving, interactive vaulting, grooming and/or stable management. Special Needs: Any difficulty or difficulties (such as a physical, emotional, behavioral, or learning disability or impairment) that require or benefit from assistance and support from certified specialists, therapists, counselors, instructors, trainers and/or facilitators. The difficulty may not be limited to a health issue but may result from the interaction between the individual and the society in which he or she lives arising from an abusive or unhealthy environment and a lack of resources, including economic resources, which can impact an individual's ability to successfully transition into adulthood and being at-risk of a future with less than optimal outcomes. At-Risk: Refers to being at-risk of a future with less than optimal outcomes. Youth are considered at-risk for a number of reasons, such as if they are homeless or transient, involved in drugs or alcohol, abused sexually, physically or emotionally, mentally ill, neglected at home or live in stressful family environments, lacking social or emotional supports, and involved with delinquent peers. At-Risk youth are likely to be involved in a number of risky behaviors, such as running away, skipping school, drinking under age, engaging in sexual behavior, displaying disruptive behavior, bullying/harassment, fighting, and committing acts of vandalism. ERAF offers tremendous community service in attempting to educate the public by participating in Chambers of Commerce and speaking at service organizations such as Rotary, PEO, etc. ERAF also participates in local festivals and provides educational tours for organizations such as 4-H, Boy Scouts; Girl Scouts; Big Brother-Big Sisters; Alzheimer's Support Groups and Home=Schooled children. Rozalyn is our therapy horse, and she has visited nursing homes and made guest appearances at community events. Just recently ERAF entertained the Treasure Coast Early Learning Academy with 22 kids and 4 adults learning about responsible breeding and feeding, where Rozalyn made an appearance. ERAF works with the pre-Vet program and the Baccalaureate program at local high schools. The message to these groups encourages responsible breeding and feeding programs. ERAF also has a featured page on its website, which is Community Hoof Prints, designed to assist horse owners in finding new homes for their horses. We also place horses through our Community Hoof Prints page on our website... without them ever having to step foot on the property! We also have had two recent Eagle Scout Projects, one was a fencing and pasture project, and the other was a Shelter Project. We also work with the Court System and provide Community Service Projects for offenders which has been extremely rewarding to be a part of the success of this program. 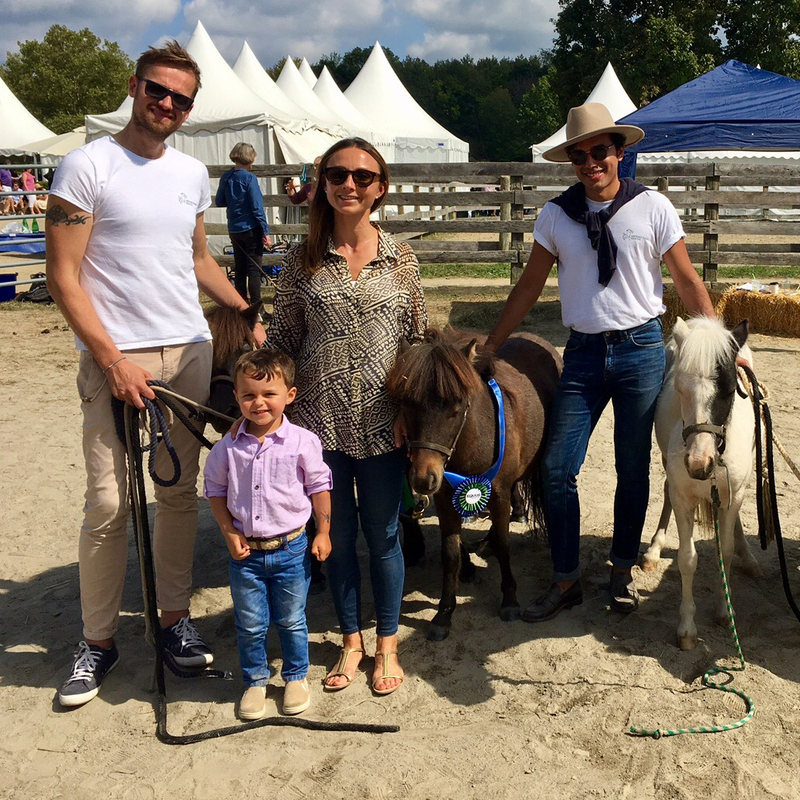 We also offer a weekly program on basic horsemanship and the basics of horses which is geared for children and beginner adults. Please provide any additional explanation regarding your governance, staffing and volunteer practices or further explanation of your answers above. 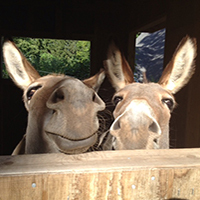 We adhere to all of the requirements of the Global Federation of Animal Sanctuaries. If yes, provide the name, title, responsibility and family/business relationship of each Board and/or Staff member. Our Facilities Manager/Night Watchman's son works as a general staff member. IRS Form 990/Pro Forma 990 has not been uploaded for this facility. Donated: The ownership and custody of the horse is transferred to the organization by its owner/trainer/responsible agent utilizing a donation document. Free Lease: The ownership of the horse is maintained by the owner/trainer/responsible agent; the custody and responsibility for the shelter and care of the horse is transferred to the organization utilizing a free lease document. Purchased: The ownership and custody of the horse is transferred to the organization by its owner/trainer/responsible agent utilizing a purchase document. Surrendered: The ownership and custody of the horse is relinquished to the organization by its owner/trainer/responsible agent without the use of a donation document. Seized: The ownership and custody of the horse is transferred to the organization as a result of the horse being seized by law enforcement or another agency and removed from the owner. 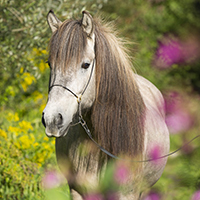 Abandoned: The ownership and custody of the horse is transferred to the organization as a result of the horse being abandoned by the owner or the owner was unable to be located. Returned: The horse was previously a part of the organization, was adopted, and ownership and custody of the horse has been transferred back to the organization. Feral/Wild Horse: Free-roaming horses that are descendants of the domesticated horse and have no or limited human contact. Foal: An equine up to one year old; a colt is a male foal and a filly is a female foal. Stallion: A male equine that has not been castrated. Gelding: A castrated male equine. We work closely with the Sheriff's Departments and Animal Care and Control which is where the majority of our equines come from. If health records are not available or are out-of-date, the owner is responsible for having vaccinations administered. Our intakes are primarily surrenders to the Sheriff's department. We also will take in horses whose owner's have serious financial or health situations. We also will accept returns. If practical, we will evaluate the horse prior to intake. ✔ Our organization does NOT breed horses. If we intake a stallion, we will geld as soon as the horse is healthy enough to withstand the procedure. Our organization does not euthanize horses under any circumstances. Our agreement states that our organization reserves the right to visit the horse at any time. Does your organization provide horses to any facility to use in research or medical training? Please explain where and for what purpose horses are provided to use in research or medical training? No, however we have had vet students, dental students, and trimmer apprentices come out with our regular professionals overseeing them. In addition, we participate in the pre-veterinary program with local high school students. Does your organization sell, donate or give a horse to an auction? If this facility is recognized as compliant with the published standards of another applicable organization, and/or accredited by another applicable organization, including any state licensure or registration process, please provide the details. We are accredited by GFAS and we recently had an onsite visit from the ASPCA and the Equus Foundation. We have submitted our application to be accredited by the TCA. Provide the contact information for the individual or organization responsible for investigating abuse in the county where the facility is located, including mailing address, email address, and phone information. Other than the animal control authority noted above, provide the contact information for all local, state and/or national authorities with whom your organization engages to address issues impacting horse welfare, including mailing address, email address, and phone information. By Appointment Only signs are posted. Horse Health Care/Barn Management Records: What system is used to collect and store health/horse care records? Fly/Insect Control: What remedies are used to control flies and insects? Helmets are replaced at least every five years. How often are the following checked or performed? This organization does not conduct EAAT at this facility. The horse inventory numbers are incorrect. horses undergoing rehabilitation and/or retraining. Total number of horses permanently retired. $ Other direct horse-related costs not including overhead or other program costs.